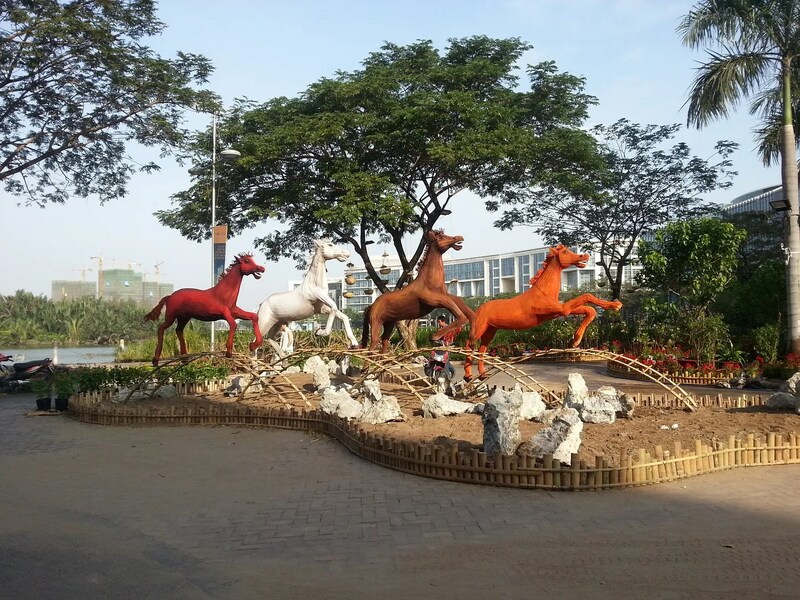 It’s the Year of the Horse! | Hello Saigon! 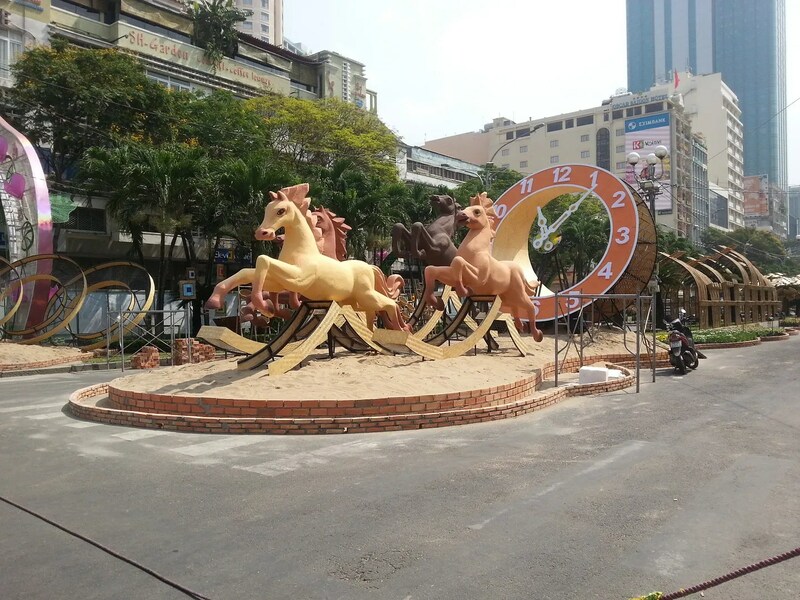 Nguyen Hue Flower Festival will be open to the public starting tomorrow, January 28 (7pm) till February 3, 2014 (10pm). This photo was taken a few days ago. I dropped by today and the place is all ready! There were some photo shoots going on. The people behind the designs are such geniuses! It’s just sad that after Tet, these displays will all be gone. Oh well, time to take out those cameras and start shooting. 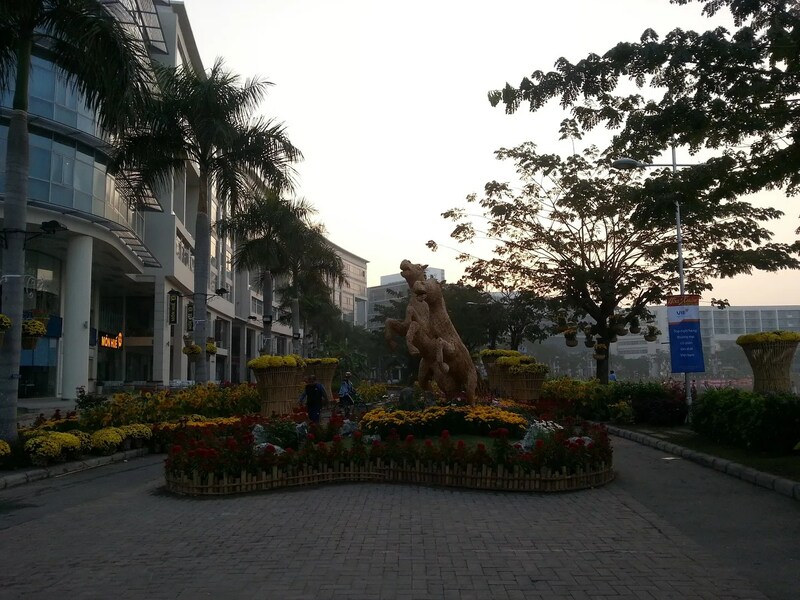 This entry was posted in Event, Exploring Saigon and tagged Crescent Mall, Flower Festival, Ho Chi Minh City, Nguyen Hue, Saigon, Tet, Vietnam. Bookmark the permalink.